Last week we kicked off a month of cast ons in honor of the new year, and this post continues the series with a look at two different long tail cast ons. Specifically, this post is about the nearly-universal Long Tail Cast On and the somewhat less known German Twisted Cast On. 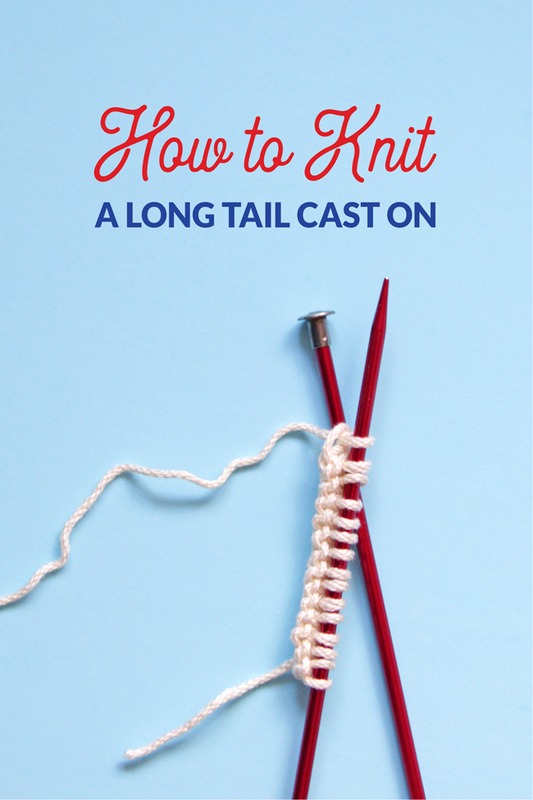 The Long Tail is one that many knitters master sometime near the beginning of their career and never stray from. 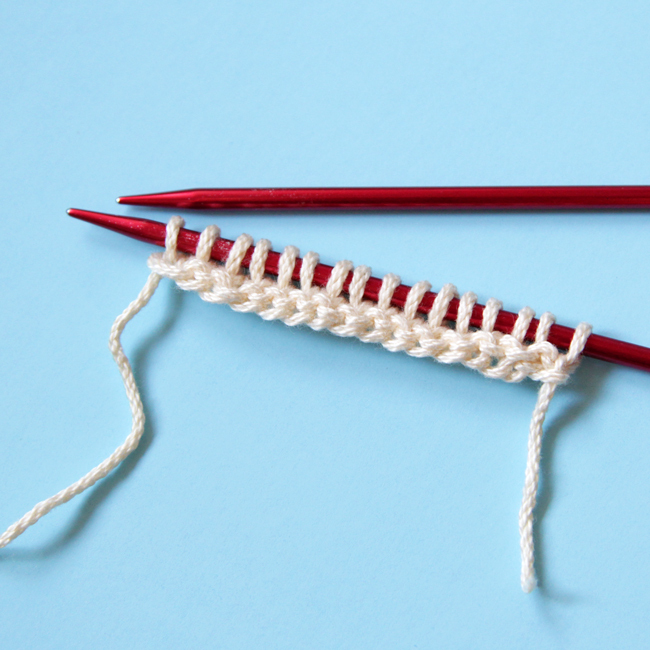 While that’s not the case for every single knitter in the world, it’s also not uncommon. The German Twisted, just one of its many names, is done quite similarly to the Long Tail, but with – wait for it – a twist that opens up garment possibilities by adding some useful stretch to the mix. In this video, I start off with a great tip for how to estimate your long tail cast on. 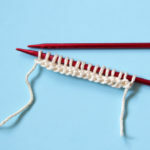 To give credit where credit is due, I must link to brilliant Knit Designer Theresa Schabes who taught me this trick in a workshop a few years ago. 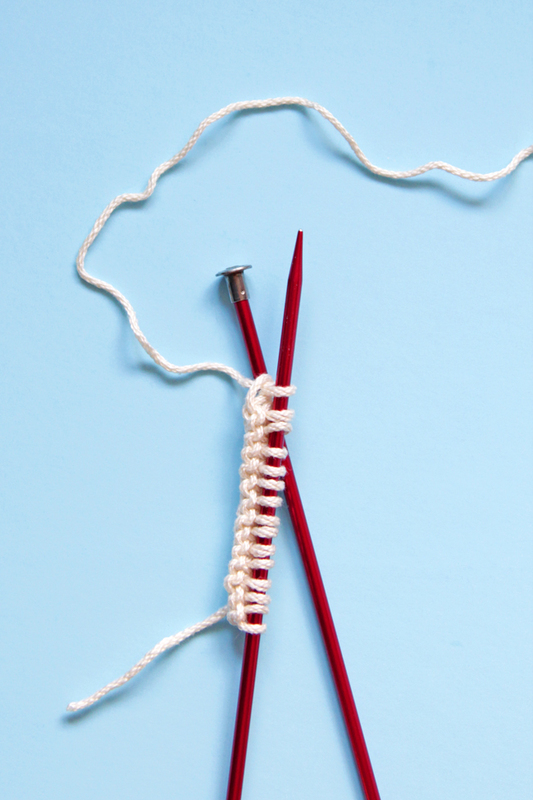 It’s a go-to knit hack for sure! Long Tail Cast On pros: it’s widely used, it’s easy to memorize, and it’s sturdy. Cons? It’s not stretchy. 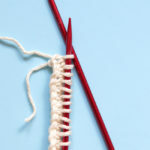 Stretchiness and aesthetics are the two main reasons folks, myself among them, start to venture into the world of other knitting cast ons. 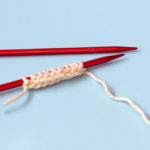 So many knitting patterns simply say “cast on X sts” and don’t specify which one to use. In my patterns, I generally specify the preferred cast on to use because, especially in the case of garments, you need to be able to put on and take off your dang sweater! 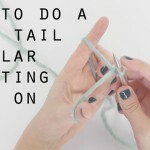 Much like my preference for Long Tail Cast Ons sans slip knots, it’s just a practical consideration. 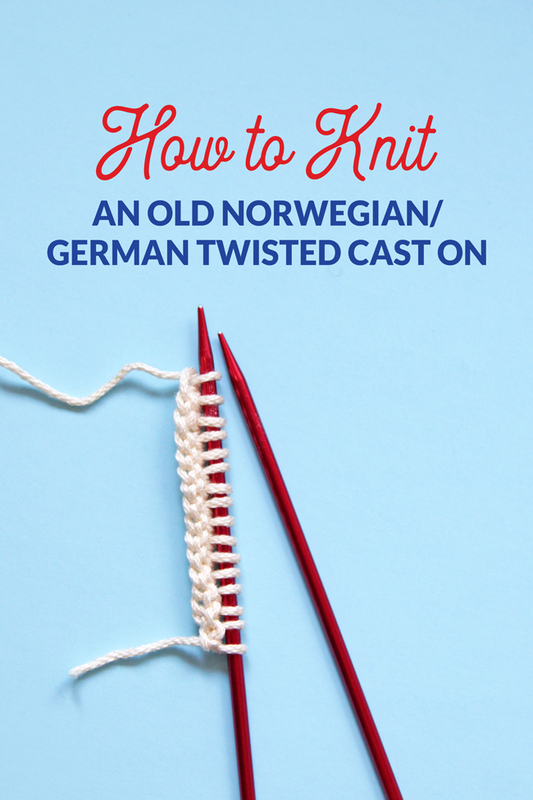 About two years ago on this blog, I did a post about the Old Norwegian Cast On, also known as the German Twisted Cast On or the Elastic Long Tail Cast On. Since we’re doing a whole series of cast on posts this month, it’s fitting to once again include a bit about this cast on, in addition to the following video tutorial. After all, the German Twisted Cast On is a variant of the classic Long Tail Cast On, featured above. PS: If it wasn’t super obvious, there are a lot of common names for this cast on, so keep that in mind for future googling purposes. The German Twisted Cast On is stretchier than the regular Long Tail Cast On, but it still has some sturdiness to it. This combination of characteristics makes it ideal for things like cuff down socks, cowls, or hats. As I mentioned in my other post about this cast on, the added twist incorporated into the construction of this cast on gives knitters a little bit of extra yarn in each stitch, which is where the elasticity comes from. Pro tip: The thing with that added stretch is that your tail should be slightly longer to accommodate it. My rule of thumb is to add 20% more length to your tail when you estimate it before casting on. 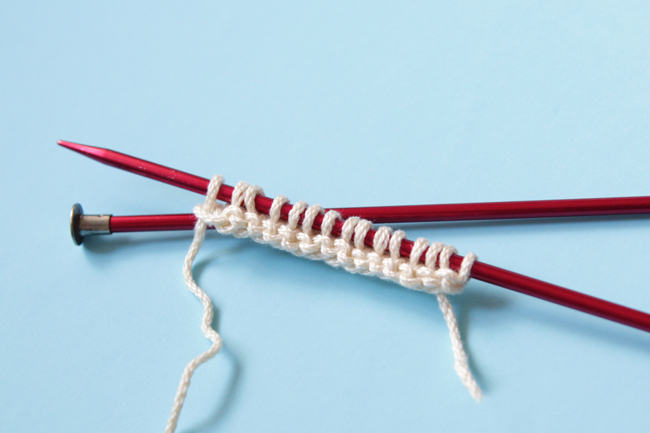 If you look at the Long Tail Cast On tutorial in this post, you can use the same tail estimation trick for the German Twisted, but for every ten stitches’ worth of tail you estimate, add two more wraps (a.k.a. an extra 20% of length). Easy! I personally like the knotted look of this cast on, but some folks don’t. If you’re looking for a prettier cast on than the German Twisted, but you don’t want to sacrifice the elasticity, tune in to the next post in this cast on series where we’ll tackle the Chinese Waitress Cast On, a much-more-difficult-to-accomplish cast on than the German Twisted, but it’s super pretty (if you don’t mind the challenge). I love the German Twisted Cast On because if the only other cast on you know is the Long Tail Cast On, this one is so similar! Great for advanced beginners looking to level up their technique game. 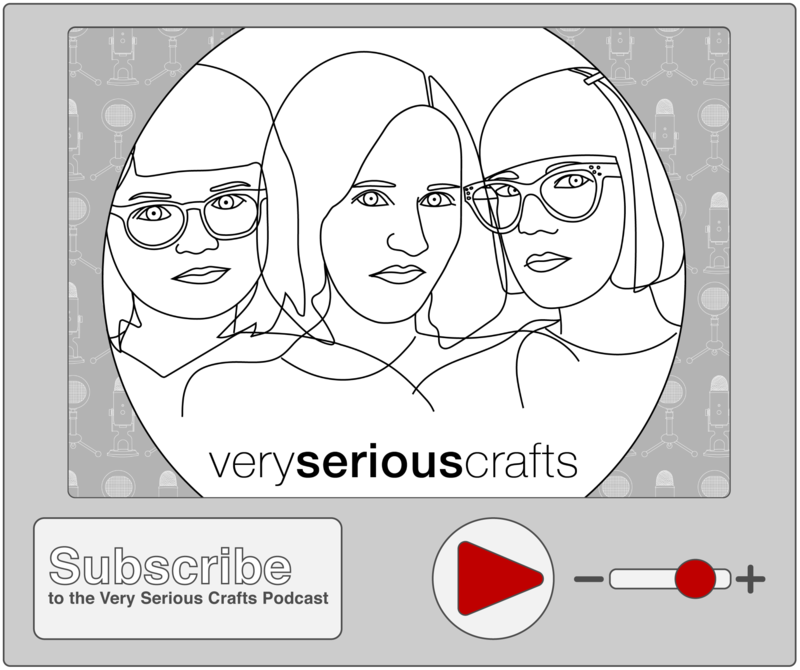 The yarn used in these videos is 24/7 Cotton in Ecru and was provided by Lion Brand Yarn.